In parliamentary elections on Sunday, Turkey’s Justice and Development Party (AKP), the party of Turkey’s strongman president Recep Tayyip Erdogan, made an unexpectedly good showing. AKP captured 316 seats in the 550-seat parliament, meaning that AKP can govern by itself without having to form a coalition with another party. Although it was a landslide victory for Erdogan, it was not the super-landslide that he had once been hoping for, which would have given AKP the ability to change the constitution to increase Erdogan’s powers. After the June 7 election, Erdogan called for a new election, gambling that a new election would let him regain his parliamentary majority. The gamble paid off. The months between the June 7 election and the November 1 election have been some of the bloodiest in Turkey’s recent history. One reason that the Kurdish party HDP did so well on June 7 was that they promised the voters that they would disarm the Kurdistan Workers’ Party (PKK), which is considered a terrorist group by Turkey, Europe and the United States. However, once the election ended, they reversed that promise. 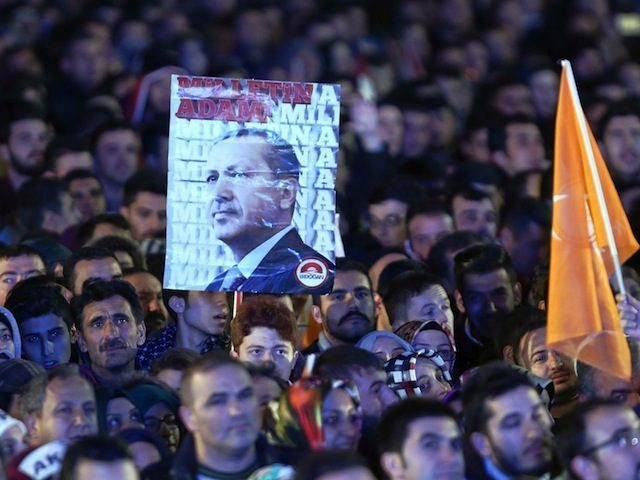 In that atmosphere of increasing chaos in Turkey, millions of Turkish voters decided that they really want a strongman in charge, and they voted for Erdogan’s AKP party. Erdogan is looking strong for another reason. As the refugee crisis in Europe continues and grows, European officials are increasingly seeing Turkey as their only hope of bringing the situation under control, which means that Erdogan will be negotiating with Brussels from a position of strength. There are some real questions now about what will happen next. Erdogan has gotten his landslide, and a mandate to stop the violence. This could take the form of increased warfare with the PKK, or increased warfare with the so-called Islamic State (IS or ISIS or ISIL or Daesh) in Syria.